Innovative, versatile and great sounding, the BA-112 combo incorporates a tilt-back, monitor-style enclosure, making it perfect for the stage and the studio. The RCA inputs are ideal for playing along with an MP3 or CD player, and you even can plug in headphones for "silent-running" mode. 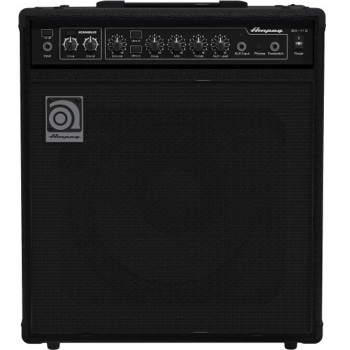 The BA-112 —solid Ampeg, through and through.